I know this is a tad late, but there have been some changes, etc. recently, so apologies for the delay of this post. I still hope to meet many of you to chat about MySQL/Percona Server/MariaDB Server, MongoDB, open source databases, and open source in general in the remainder of August 2016. LinuxCon+ContainerCon North America – August 22-24 2016 – Westin Harbour Castle, Toronto, Canada – I’ll be speaking about lessons one can learn from database failures and enjoying the spectacle that is the 25th anniversary of Linux! Percona MySQL University coming to Toronto this Friday! 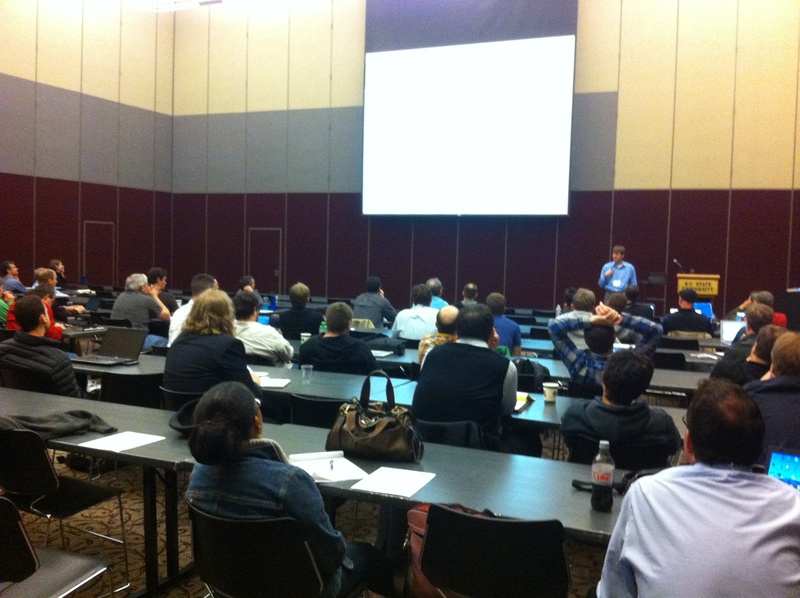 Percona CEO Peter Zaitsev leads a track at Percona MySQL University in Raleigh, N.C. on Jan. 29, 2013. Percona MySQL University, Toronto is taking place this Friday and I’m very excited about this event because it is a special opportunity to fit a phenomenal number of specific and focused MySQL technical talks all into one day, for free. Watch for Pythian speakers at upcoming Oracle Technology Days, NoCOUG, OOUG, SQLSaturday & Pythian Australia. It’s a busy summer at Pythian, with our continuing wave of speaking sessions at upcoming community and regional industry events. We’re physically located in Toronto, Canada, but she has a great experience of working remotely too. So, if you need a web designer or a junior web designer, feel free to contact Tanya.